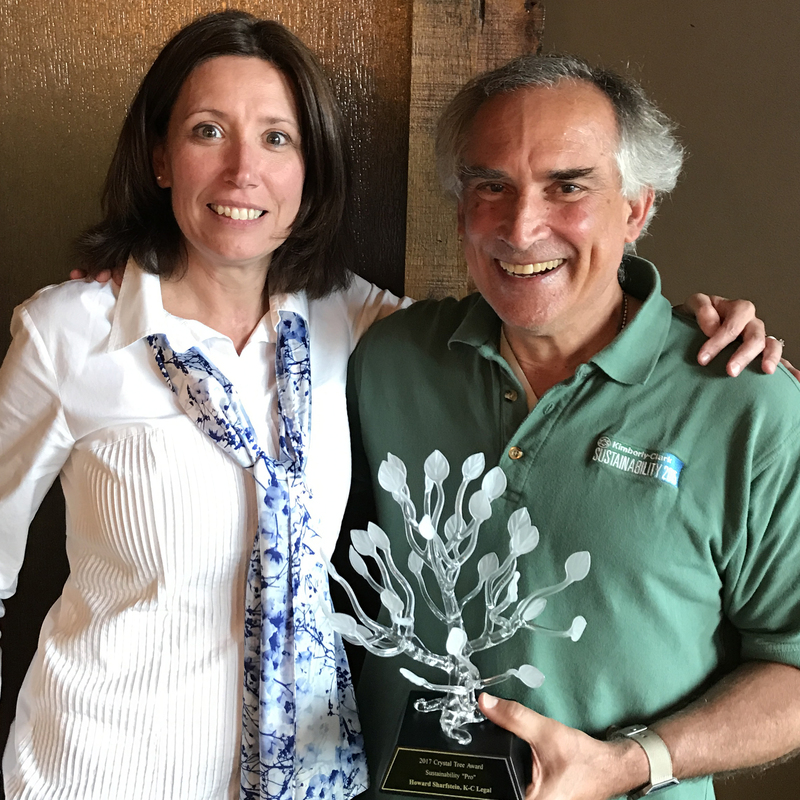 Lisa Morden, Senior Director of Global Sustainability for Kimberly-Clark, presents Howard Sharfstein with the first-ever Crystal Tree for Sustainability “Pro” of the Year. Kimberly-Clark announced that Howard Sharfstein, the company’s Associate General Counsel for Environment, Energy, Safety and Sustainability, has received a Crystal Tree Award as Kimberly-Clark’s first-ever Sustainability Pro of the Year. The award is the company’s highest internal recognition for individuals whose work helps drive social and environmental impacts that make our communities and workplaces better for future generations. Sharfstein guides the company on a variety of legal, compliance, and sustainability related topics. He supports the company’s larger focus on social impact, forest stewardship, waste reduction and recycling, and increasing energy efficiency, while maintaining compliance throughout the supply chain. Sharfstein is instrumental in sharing the company’s work in the annual sustainability report. The report highlights stories of how employees bring sustainability aspirations to life, and provides a comprehensive overview of the data and progress toward Kimberly-Clark’s sustainability goals.